One Action looks like a great book on gender inequality. Any plans to release similar themed books? Yes, this book aims to encourage women towards their dreams and ambitions, and it talks about gender inequality in the country. There is no plan to release a similar themed book. In fact, I would prefer other women to take 'One Action' and write a book on gender inequality in India from their perspectives. No matter how much one tries, one book cannot cover all aspects of gender inequality in the country, we need more such book from more women. What will readers get out of your book? 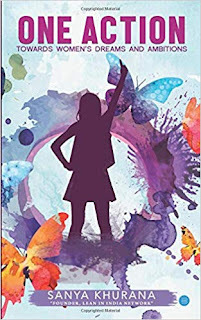 Readers would understand various aspects of unspoken messages heard by women in India that eventually discourage them from dreaming big, being ambitious and working towards their goals. They would also learn about various tools women can use to shatter the gender barriers around them in low-risk ways and how they can come together in the form of Lean In Circle and make a change together. What inspired you when writing One Action? I never took the decision to become a writer. I took the decision to write about what I learned being a part of the Lean In Community. My idea was never to "become an author" but to do whatever I can to spread the message. When writing One Action did anything stand out as particularly challenging? 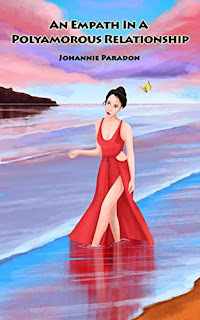 It was emotionally very difficult for me to write about sensitive issues like female foeticide and dowry. The statistics in India are never good and always disheartened me. It was more difficult to write about Sexual Harassment in India. I remember when I started writing about the Nirbhaya case and started collecting stories of women, I was filled with tears and it difficult for me to gather the courage to gather more information about the same. Always Welcome: Nine Decades of Great Friends, Great Times and (mostly) Great Deals. By any measure, Welcome Wilson, Sr., chairman of the GSL Welcome Group―a privately held real estate development firm headquartered in Houston--has led a big life. He’s made friends in the highest places, developed communities that continue to prosper, survived some major set backs, and made hundreds of successful real-estate deals. He married his college sweetheart, and they have five happy and productive children. Growing up in South Texas during the Depression, Wilson learned the art of the Wilson deal, an uncanny ability to pitch deals that favor the Wilsons, from his father and his many uncles. He honed this skill in partnership with his brother, Jack. Combining the Wilson touch with hard work and determination, he found continuing success: at the University of Houston, in the Navy, in civic and Federal service, and again and again in real estate. It often took some fast-talking, some scrambling, and lots of hard work, but Wilson has always had great confidence that he could figure out a way to get a job done. Named a legend by the Texas Business Hall of Fame, Wilson has received numerous other awards for his many accomplishments. His memoir provides insight on his relationships with Eisenhower, Kennedy, LBJ and other notable leaders, shows the many ways he supports the university and the city that have provided him so much opportunity, and explains the inner workings of his most notable deals, including the founding of The Jamaica Corporation and the development of the Astrodome. Colorful, lively and opinionated, Welcome Wilson finds real delight in bringing people together and making big things happen. 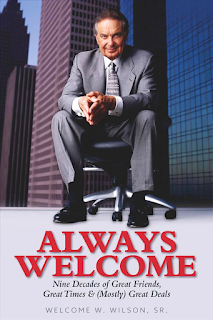 His candid and entertaining anecdotes will engage readers and inspire anyone who wants to find more success in life to aim high and have confidence. Freight Broker with Care looks like a great freight brokerage guide. Any plans to release similar themed books? I appreciate that, thank you. Yes, absolutely! 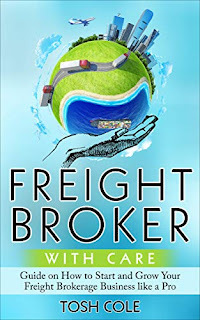 I am currently working on the second volume of Freight Broker with Care. I want to continue creating books that can assist and welcome new and upcoming brokers into this billion dollar industry. My ultimate goal is to provide critical skills and information that most will only receive after some real-world experience. In addition, I want to eliminate the idea that the process of trial and error is king; which is the very reason why most upcoming businesses fail. They do not have the financial cushion to withstand some of the challenges presented to them in the beginning. There are a variety of different topics and scenarios that may occur within freight brokerages, and I’m interested in providing a heads up – or shall I say, ‘shed some light’ – to those who are interested. Based on years of experience, understanding the culture of this industry has already been of great help to others, and I’d like to keep this process going. What will readers get out of your guide? Readers will not only gain a deeper understanding of the steps and resources required to start a freight brokerage company from home successfully, but they will also begin to learn about some of the ins and outs of maintaining and growing their business with ease. Understanding how to negotiate rates and how to dispatch, along with effective cold call techniques, are important factors when stepping into this competitive industry. Most beginning Freight Brokers struggle with getting their first shipment covered, and this is where Freight Broker with Care comes in handy for those who can use some guidance in this area as well. What inspired you when writing Freight Broker with Care? My inspiration stemmed from the admiration that I’ve received from others in terms of how I handle my own business. Those who started in this industry began asking me for advice, and as time persisted, it became a demand. 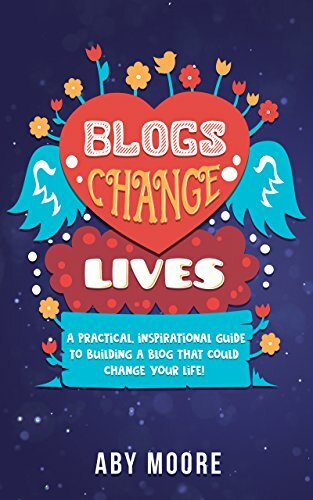 From there, I decided to start a blog, and then the thoughts of writing a book began to creep into my mind. I wanted to share my knowledge on a broader platform because I felt it would help to benefit a larger audience. An Empath in a Polyamorous Relationship looks like a great story. Is it all based on your life or are some parts fictitious? As much as I'd like to tell, you. I'll be keeping it to myself for the safety and privacy of the persons involved. However, the message of this book should be the real thing here. What do you think makes a great relationship book? Any relationship book should be able to speak from the heart. It should thrill our emotions and spook our human part. We should be able to relate with it in the deepest of our emotions. I have encountered books that made me cry, laugh, and think deeper. I think all that matters are one's readiness to be sucked into the new reality. What inspired you when writing An Empath in a Polyamorous Relationship? Well, like the message said, it's to make the next person know what they are stepping into. Remember, this is not just any polyamorous relationship. This is one that is of a narcissistic relationship. An empath can survive any relationship but this one seems intriguing to me because it's spoken of something that is eating into the core of some relationships. A lot of us find ourselves in relationships with people that are after all what we can give to them and not what they can give. They feel jealous if we show care to others and not them. Our relationships with people are becoming more of the selfish thing. I'm sure many of us would have seen that side of us in the story. But we all are in the victim's mentality. Although this time, we could see how Rebecca had to go through pain for those that wouldn't do anything for them. I want empath out there to know who they are. And people, in general, should be aware of relationships that they are having with narcissistic. 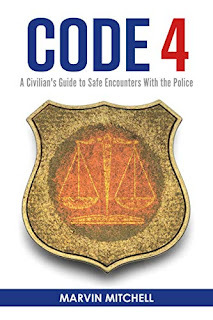 Code 4 looks like a great guide for people in police encounters. Any plans to release similarly themed books? My immediate plan is to ensure that Code 4 is significantly marketed so that it has a positive impact on the maximum number of lives. Once I am comfortable with the number of young people being exposed to the information in the book, I will use customer feedback to determine the next course of action. The primary lesson that I hope readers will learn is that law enforcement officers never respond to our intentions. Rather, they respond to their perceptions of our actions. In one well-publicized case that is covered in Code 4, a motorist with a concealed carry permit told a police officer that he had a gun – but didn’t mention the fact that he could legally carry a firearm. The “I have a gun” statement put the officer on high alert and within 40 seconds of the statement, that innocent young man was fatally shot. How did you come up with the concepts and ideas in Code 4? The NFL players kneeling protests inspired me to write Code 4. As a proud U.S. Marine Corps Veteran, I love our country and respect our flag. I was raised in the inner city and starting at age 14, dozens of my friends were beaten or killed by police during various encounters. So, I clearly understood the statement that NFL players from similar backgrounds were trying to make. Since the players chose to protest during the National Anthem, I also understood why a lot of people with different life-experiences were offended. I have wanted to write books since I left the Military. However, raising a family and running a small business never allowed me enough free time to focus on writing. The most challenging part of writing this book was ensuring it would be true to the issues without being perceived as gratuitously negative against Law Enforcement. Since many young people do not enjoy reading books as much as previous generations, I also felt the need to minimize the number of pages in the guide while making sure the most critical information was covered. 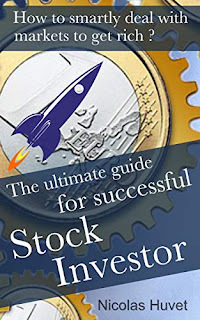 The Ultimate Guide for Successful Stock Investor looks like a great guide. 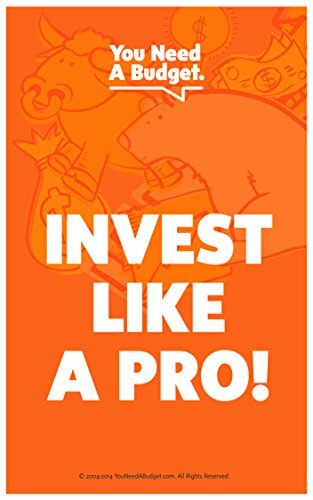 Any plans to release similar investing books? I am going to improve this book by adding some other methods and by explaining even better some parts like company valuation. The book has been designed as a practical guide in order enable them to be effective at once. That's why I avoided going too far on theoretical notions to focus on practice. This is one of the major differences with other more academic books. What inspired you when writing The Ultimate Guide for Successful Stock Investor? In writing this book, I tried to share my investor thinking as directly as possible. Of course, readers must make up their own mind, but I have tried to draw their attention to the essential, the most important things to remember to be a good stock market investor. It's recent since the end of 2018. I wanted to leave a testimonial, something that could be useful to my son when he will be an adult. When writing The Ultimate Guide for Successful Stock Investor did anything stand out as particularly challenging? I really wanted to create something unique, retranscribing what I think is the ideal solution to master a fairly complex discipline. In this sense, it was not that complicated to realize because it was nice to write. Now I hope my message will be understood. Pre-Owned Vehicle Inspection Manual looks like a wonderful car buying guide. Any plans to release similar vehicle guides? We would like to. Since we are active inspectors, most of our day is spent at repair facilities and dealerships. If time permits we would like to provide the public with more useful information. What will readers get out of your guide? Readers will get several techniques and procedures that professional inspectors use on a daily basis. I am fortunate to have a background as a technician and as an inspector. This is important because sometimes technicians and inspectors look at vehicles in a different way; especially when it comes to finding previous body work, water damage, etc. What inspired you when writing Pre-Owned Vehicle Inspection Manual? I would say years and years of hearing not so good stories on used vehicle buying experiences. That is not to say that every pre-owned purchase experience is negative. There are some good dealerships (and individual owners) who are on the up and up when it comes to selling vehicles. Unfortunately, there are just as many negative experiences. When did you decide to become a writer? I would say, within the last three to four years. Mainly after speaking with people who bought cars that turned out to be less than desirable. I would sometimes meet people after they purchased a pre-owned vehicle. Some were fortunate to purchase a vehicle that was in decent condition, while others were not so lucky. In addition, I met a lady several years ago who said she would prefer to buy a used car, but did not know how to go about it. We figured that we could share some of the techniques and procedures that we use in the field. When writing Pre-Owned Vehicle Inspection Manual did anything stand out as particularly challenging? Trying to get across certain inspection procedures in a simplistic way. That is one of the reasons we added multiple ways or techniques to find previous body repairs, water damage, engine issues, etc. 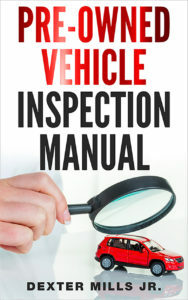 How did you come up with the concepts and ideas in Pre-Owned Vehicle Inspection Manual? I spent ten years as Mercedes Benz Technician. I had additional experience with BMW, Jaguar and (smaller amount) Porsche. For the past 19 years or so I have been a vehicle inspector. This includes end of lease, mechanical breakdown, engine performance, lemon car and pre-purchase inspections. Over the years you develop different ways of detecting or noticing certain issues. Not to mention, I was fortunate enough to attend some really good training over the years. In addition, I also received really good training and tips from the technicians who gave me my start in the business. The Broken Rules of Engagement looks like a great business book. Any plans to make it into a series? Yes, definitely. It is a long term plan. For now I'm concentrating mainly on conducting symposiums. What do you think makes a great business book? A great business book should be able to identify and exposes the business flaws and deficiencies. Most importantly it must be able to compliment where its due and still be able to provide recommendations on critical areas that requires improvements. The book should be able to uplift the morale of the workforce and reinforce employees' engagement. Last but not least, it should also provide readers with the strategy and a road map to guide on how to successfully achieve their goals. 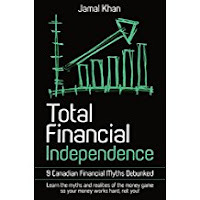 Given the above, a good business book will assist entities to yield desired profitability. 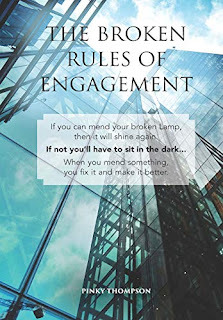 What inspired you when writing The Broken Rules of Engagement? The Broken Rules of Engagement at the workplace is real. We are exposed to it everyday and everywhere in various organisations. What inspired me the most was the need and benefit of exposing and put on the table issues that are least conferred at the workplace. Those are issues that are detrimental and are negatively affecting both employees and the business operations, hence The Broken Rules of Engagement book. I couldn't wait to see the outcome, its effect on readers and the workforce, and being the one to do the due diligence and walk through the narrow path, was just exciting. 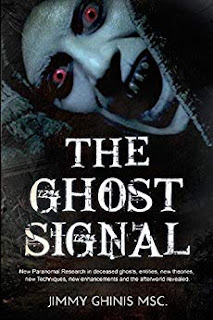 New Paranormal Research in deceased ghosts, entities, new Theories, new Techniques, new enhancements and the afterworld revealed.Two ghost trials revealed the best and worst methods of detecting ghosts.Enhanced methods or ways of enhancing ghost detection revealed.Through several months of research and observation, new theories of ghost abilities emerged.Communication and visitation by ghosts turned into visitation only and the reasons unfolded twice.Ghost TV shows learned secret techniques not fully mentioned to become a successful ghost hunter of your own.Jimmy Ghinis has a Master of Science Degree from the University of Liverpool. His first thesis written was Data Mining Techniques for evaluating Cost Per Click Website Advertising. Google Adword and Yahoo Overture was evaluated in his action research and there he achieved his MSC degree. The Moon Can Take His Time looks like a great collection of poetry. Any plans to make it into a series? First of all, thank you so much! As of right now it’s not looking like it will be a series, but I definitely plan for more poetry collections to come out in the future. What do you think makes a poem? Now there’s a question that trips me up a bit. I think that all one needs to “make a poem” is words that tell what they need to get out and say. In my opinion, there should be less worrying about the rules and regulations of writing a poem and more of just writing and seeing what your mind decides needs to be on the paper. What inspired you when writing The Moon Can Take His Time? There were a multitude of things. My own life, the lives of family members and friends, news and media, and even a role-playing game I play. I’d like to make it as full time as possible, even though we all know how difficult that can be. I’ve always enjoyed writing, and I’ve gone through several stages in my life where I claimed I wanted to be a writer, but it was my first semester of college in fall of 2016 when I knew that was what I wanted to do. When writing The Moon Can Take His Time did anything stand out as particularly challenging? I think just trying to get the poems to come together and flow naturally. I’ve changed quite a bit, so the poems I wrote in 2017 are coming from a different place than the ones I wrote in 2018. It’s all about finding that balance and the similarities. Another thing was sorting the poems into their sections. Several could have gone in more than one, for example. 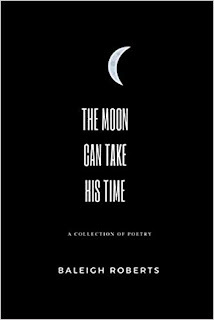 How did you come up with the poems in The Moon Can Take His Time? Most of them just come to me, which sounds strange, but it’s the truth. I find that if I try to force a poem it doesn’t sound as natural or right to me, and I have a feeling it might not seem natural to the reader either. What do you like to do when not writing? When not writing I enjoy watching shows on Netflix or Prime and also playing EverJane. It’s a textbased roleplaying game set in the regency era, perfect for my nerdy brain. However, when I’m not doing those things, I can always appreciate the time to just sit and think or lay down and relax. I also enjoy reading, but with college lately, it’s been harder to actually read for pleasure. The best place is to probably follow my Instagram @baleighrobertswriting as that’s where I tend to post the most writing updates. You can also follow my author profile on Goodreads!